Happy 20th Anniversary to Me! When I left my marketing career behind to write my first novel, my hope was that eventually one of my stories would be published. That hope was realized when I got “THE CALL” from Harlequin Books in January 1999 with an offer to buy A BRIDE FOR MCCAIN. It was published the following year in January 2000. Back then, I worried that each new book might be my last, never imagining that one day I would be a New York Times and USA Today bestselling author–or that serial killers would occupy so much to my time. The road I’ve traveled has been so rich and I’m so grateful. 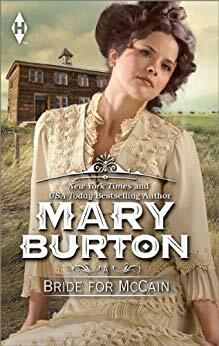 A big thank you to all the pros I’ve worked with along the way from Harlequin to Kensington Publishing, Berkley and Montlake Romance, and to the wonderful writers who have helped me navigate this world, and supported my efforts with advice, friendship, generosity and, at times, a bit of pressure to spur me on to meet my goals. So, happy 20th First Sale Anniversary to me and a giant YOU’RE THE BEST to all the readers who have enjoyed my work, rallied around my books and shared their reactions, good or bad, to my characters and their stories. 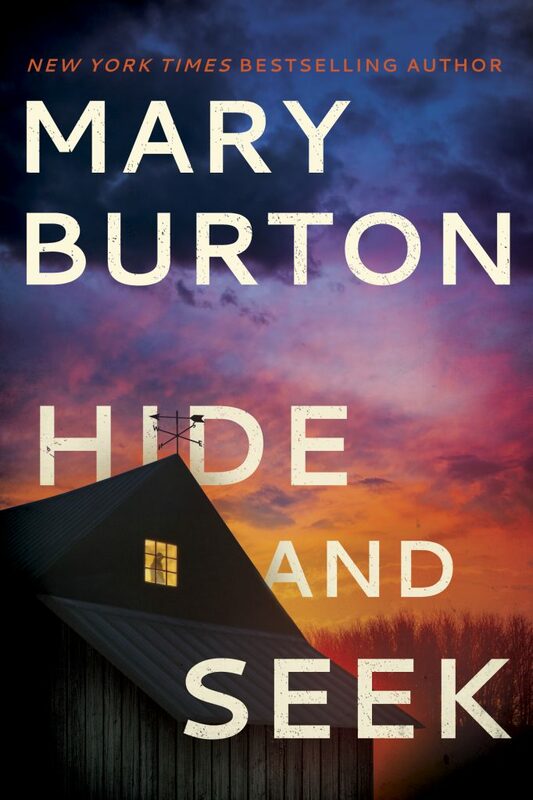 And, while I’m busy congratulating myself, I’m also looking back over the 38 published or about-to-be-published novels I’ve written, such as my upcoming HIDE AND SEEK, and, of course, SPRING HOUSE by Mary Ellen Taylor. It’s been a wild ride! 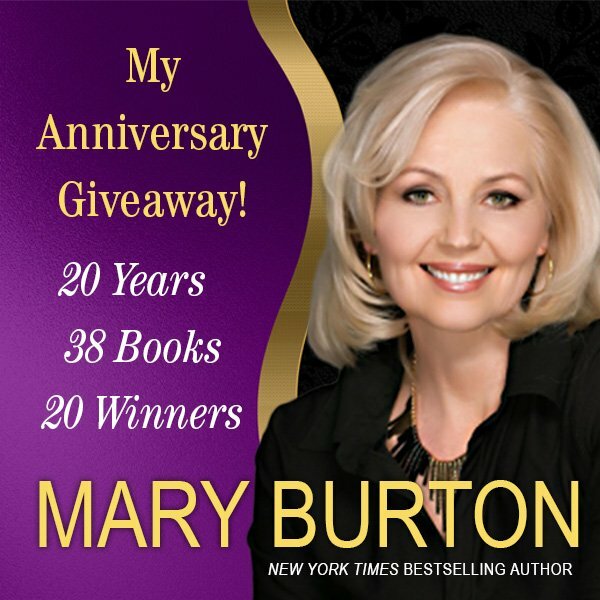 I hope you’ll join the celebration by entering my Twentieth Anniversary Giveaway for a chance to be among the winners who will each receive one of twenty of my books I’ve put aside to mark the occasion. Enter now, I’m standing by! Did You Miss Macy’s Debut in Cut and Run? Enter to Win a Copy! Meet Me at the Virginia Festival of the Book! Get the latest on new releases, contests and giveaways delivered to your inbox. Join our mailing list to receive the latest news contests and book releases. What’s on your mind? 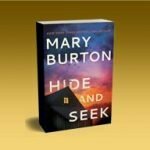 Email greetings, questions and comments to mary(at)maryburton(dot)com. I’m always happy to hear from readers.